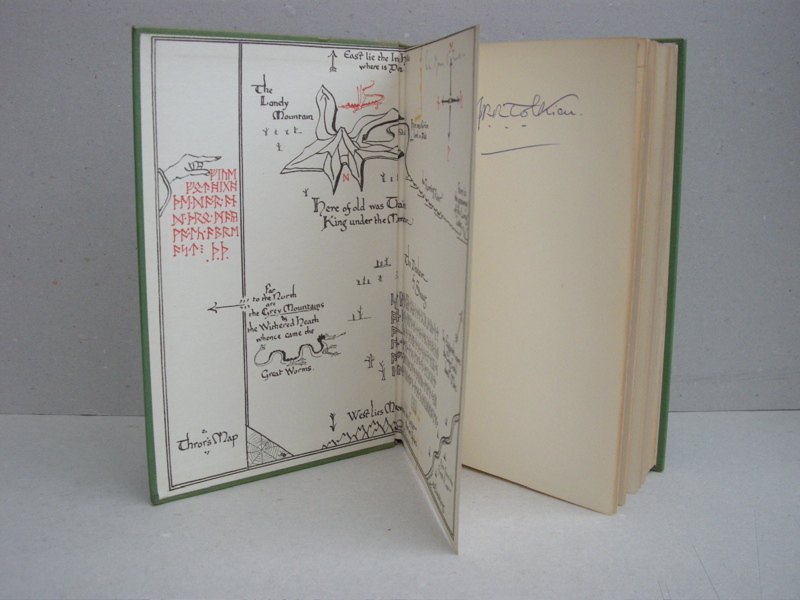 An exceptional nice copy of The Hobbit signed by the author. 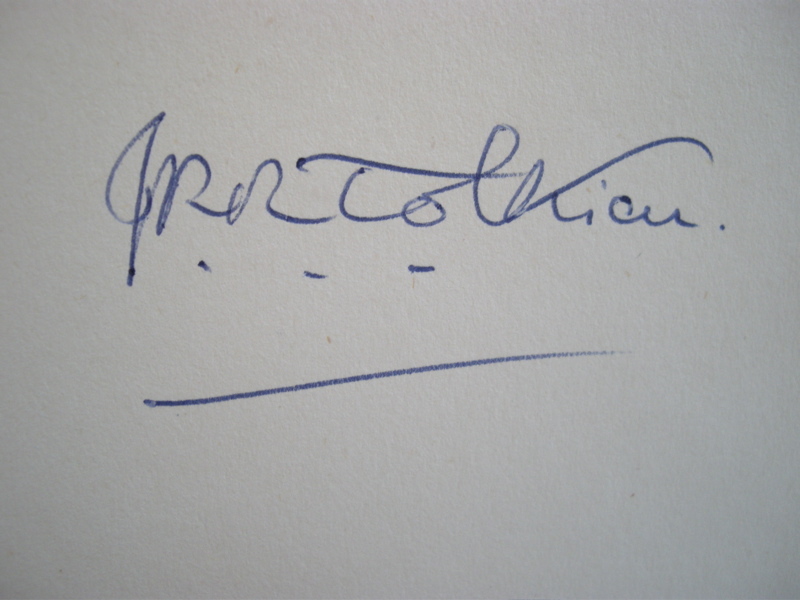 Signed copies of The Hobbit are very uncommon. 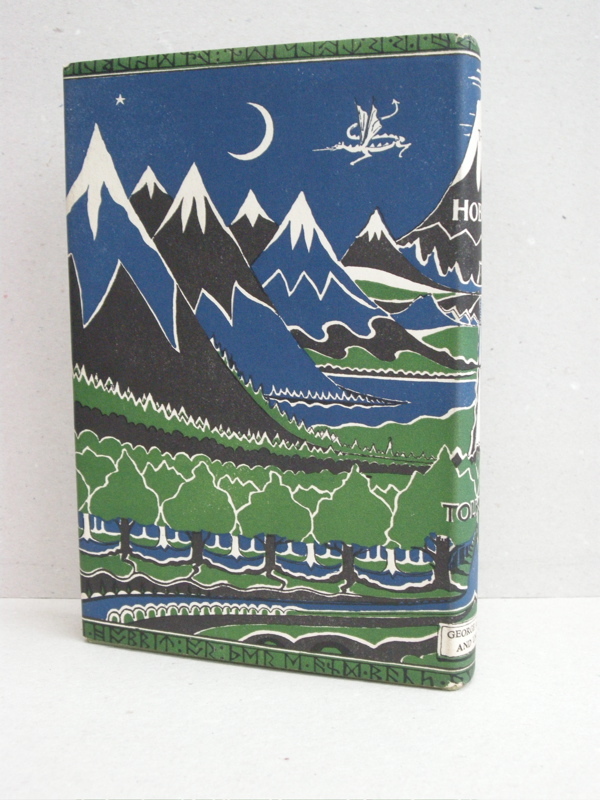 Published by Allen & Unwin in 1958. 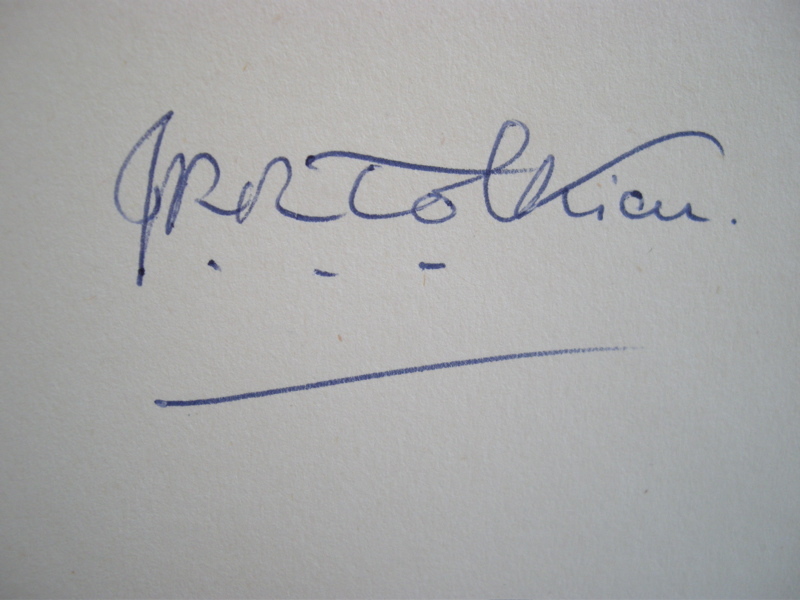 Signed by the author on front fly-leaf. 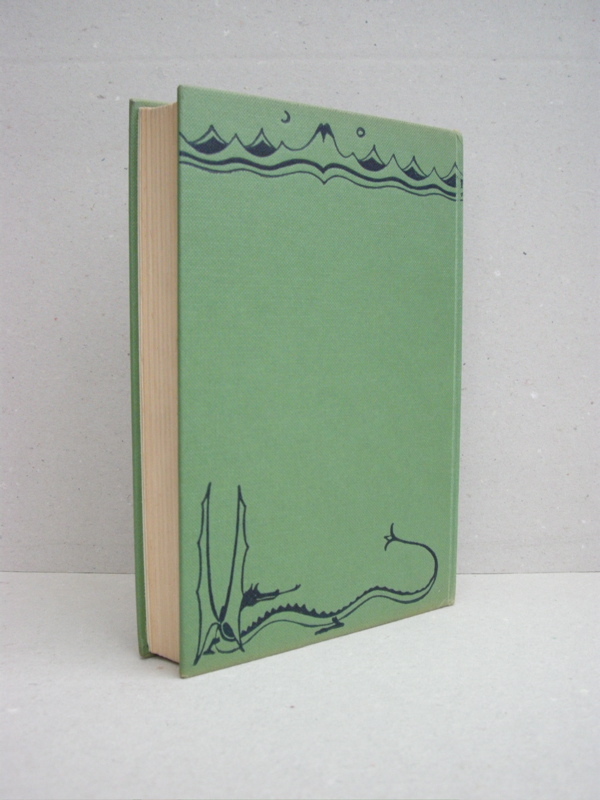 The book is in Near Fine condition, without any fading or tanning of the dust jacket, no soiling and only the slightest of rubs or wear to the corners of the spine fold. Previous owners name in pencil to the top corner of the map. Blind stamped address of previous owner on second fly-leaf. 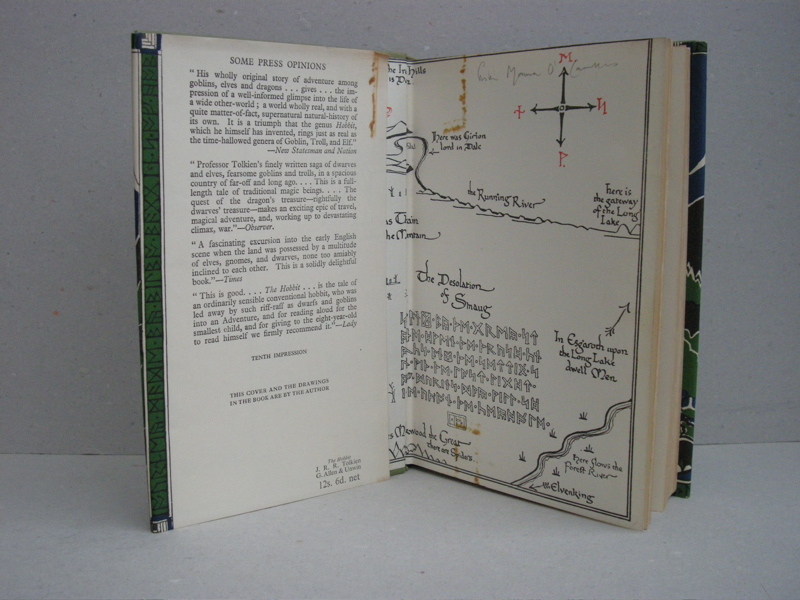 The boards are the original green cloth with dark blue stamping of Tolkien's own Mountains and Dragon design, with only slightly bumped corners. 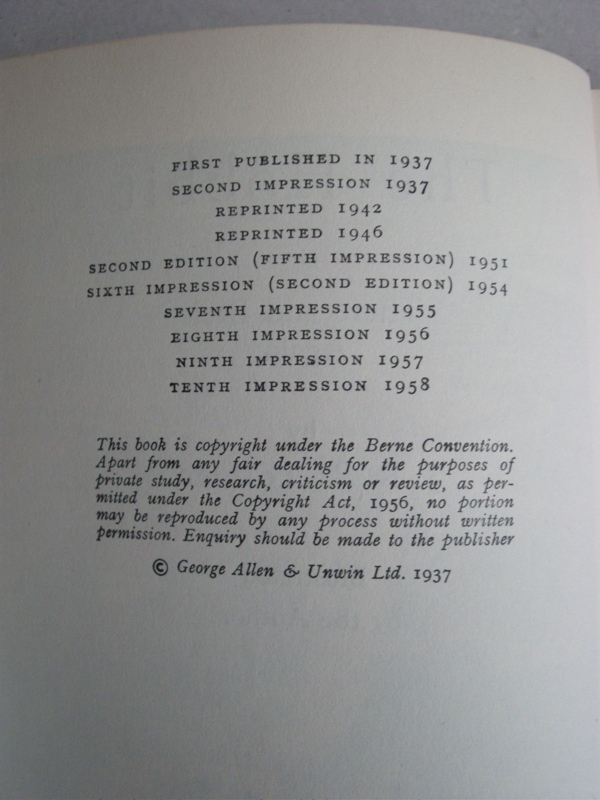 The title verso has the full printing history up to this tenth impression of 1959. 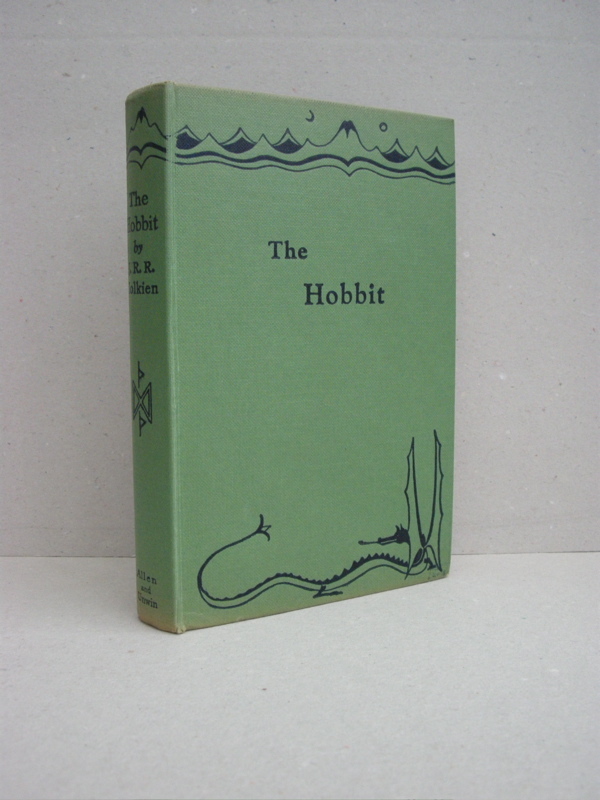 The original dust jacket is correctly marked the 10th impression and both book and dust jacket are remarkably well preserved. 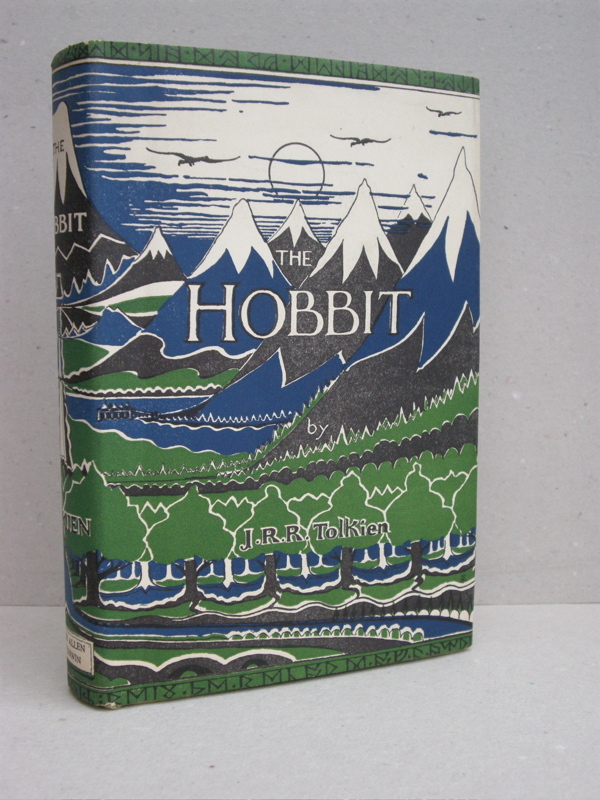 The dust jacket is not price clipped and in Near Fine condition, with only the most minor of rubbing to the edges, with a tiny bit of loss at the tips of the folds, but lacking any of the normal tears to the edges. 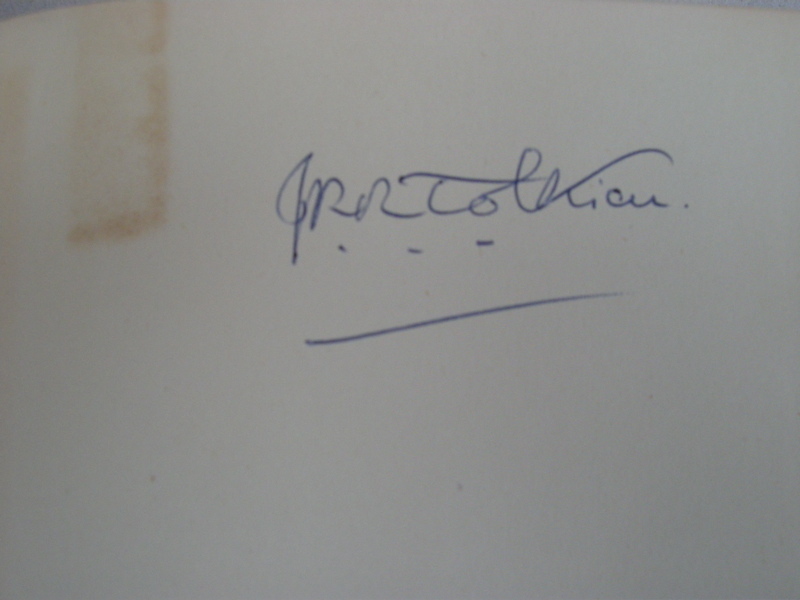 The only visible marks are of the places where ones tape was stuck on the book (and dust jacket) to put it inside a protective sleeve. This has caused a very good preserved dust jacket and book, but has left some orange marks on the maps, dust jacket and fly leaves. Edges of the text block are clean and unfoxed, with the top edge slightly dusty. 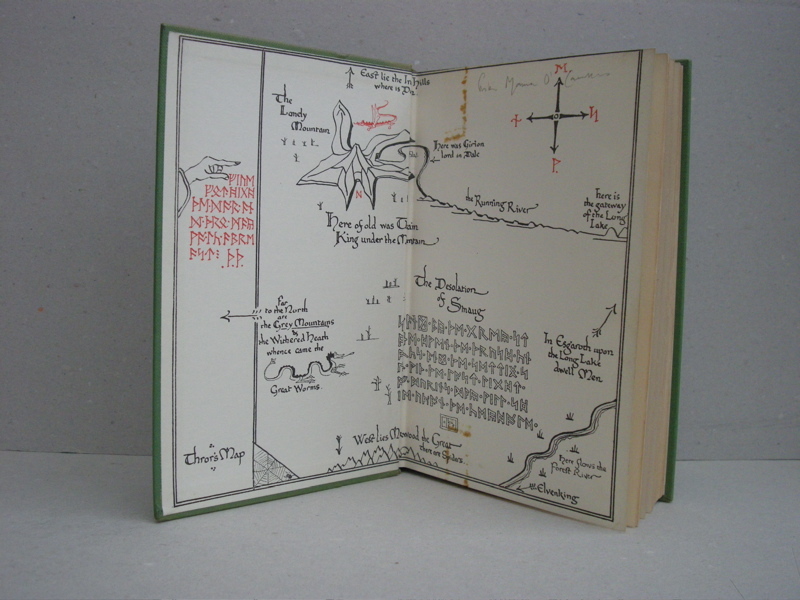 This book belongs together with a triple signed Lord of the Rings set and can be bought together for a reduced price. 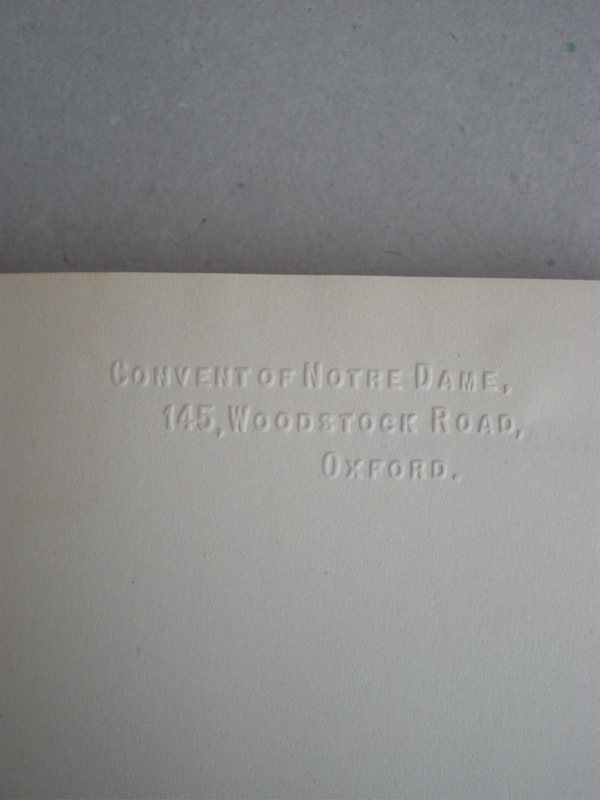 The history of the books is that they were purchased for The Notre Dame High School, 143 Woodstock Road, Oxford. 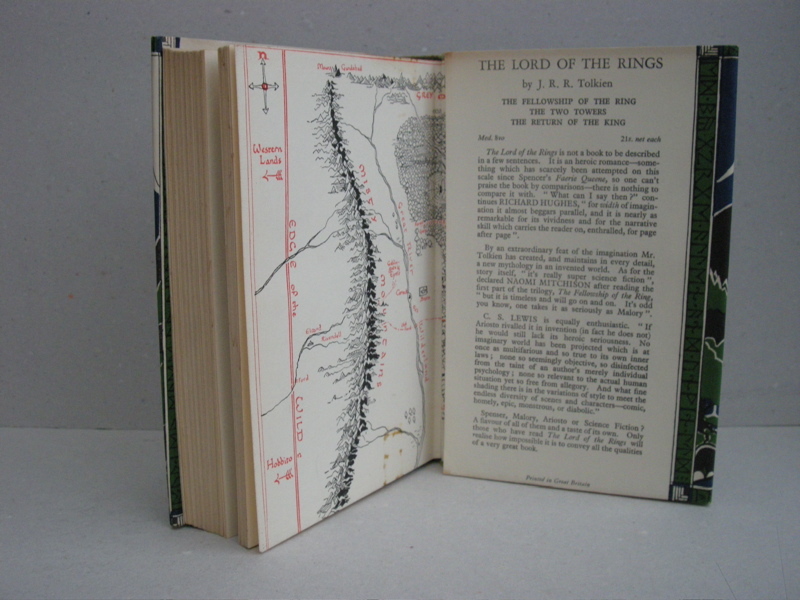 A Sr Julie Parry was the teacher of English and Classics at the school and she regularly attended Prof Tolkien's lectures. 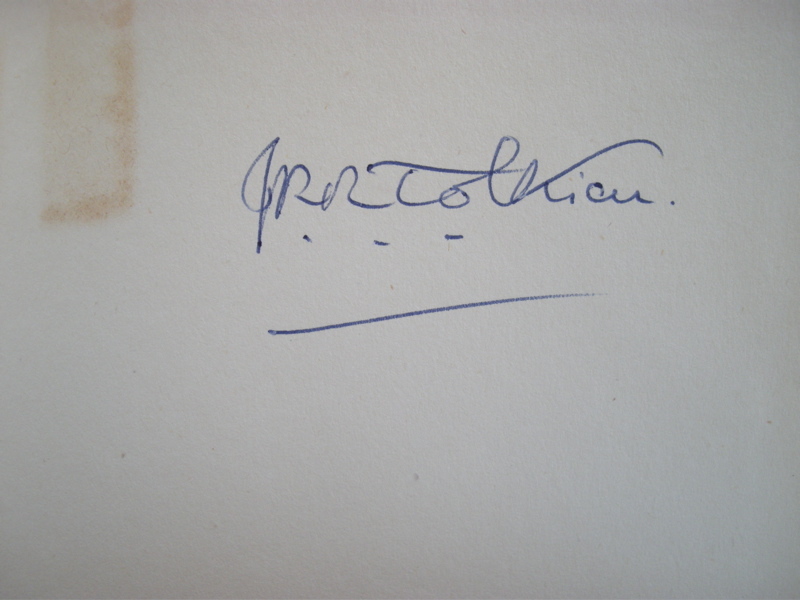 On one occasion she asked Professor Tolkien to sign these books. 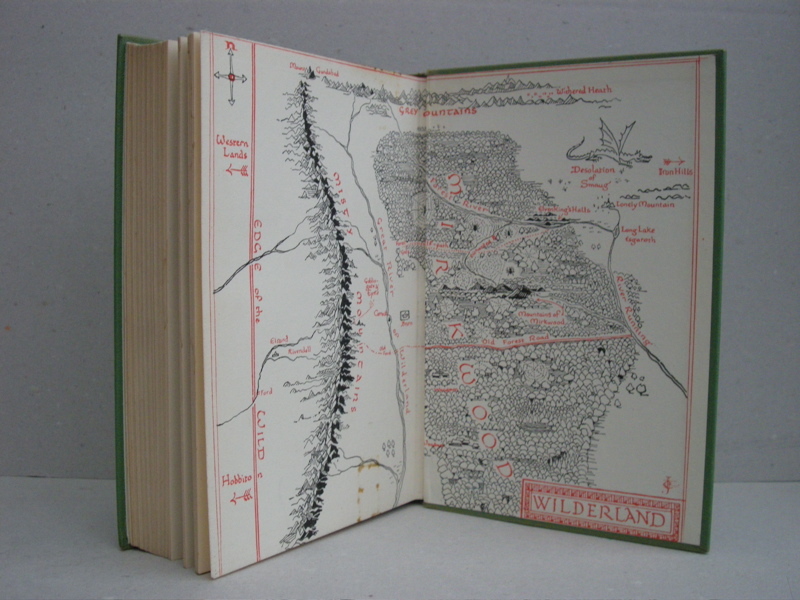 The school was closed in 1970 and the books were then taken into a Sisters' private collection where they have been ever since.